I know I said I’d never do another New York Beauty quilt again. Apparently the pain of doing the first one wasn’t strong enough to prevent me from entertaining the idea of doing another one. This one is made by Sheena Chapman. 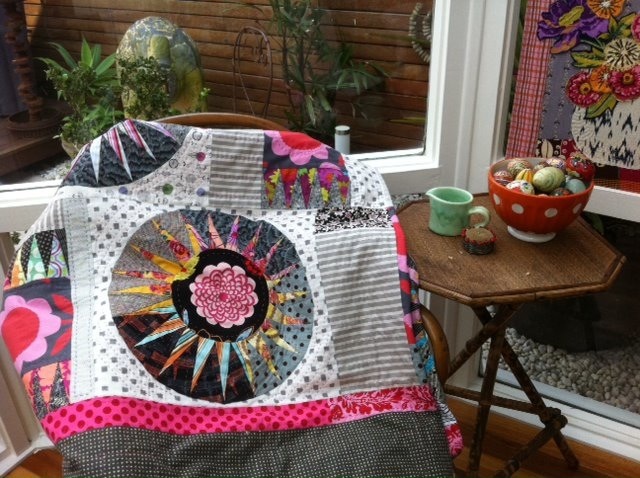 She is going to be teaching a workshop on her funky NYB technique in late September at our local quilt shop My Patch. It’s the same weekend as a yoga festival that I wanted to attend so I’m torn……quilting or yoga? quilting or yoga? I think quilting is going to win. 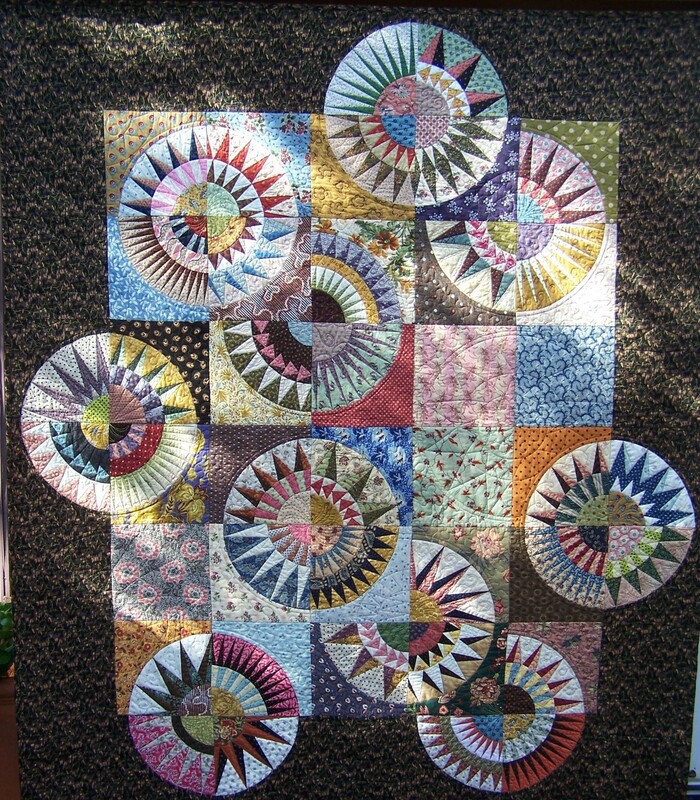 This one, called Rob’s Quilt by Kathy Martin, I found on a blog that I follow called Quilt Inspiration. 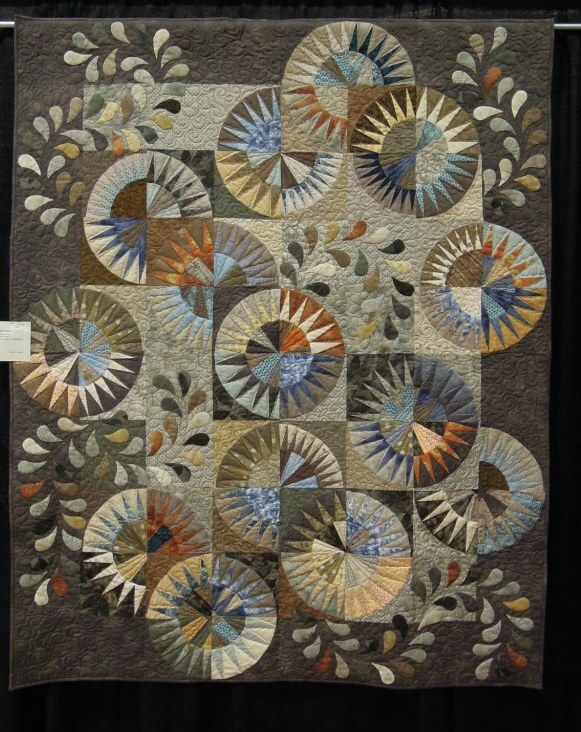 She went to a quilt show in California and posted this picture on her blog. This one is actually more in the vein of what I was thinking to do as I THINK I’m going to use my Japanese Taupe fabric collection. And then there is the Australian designer, Chris Jurd – who is simply amazing. Every time I see a class offered by her – I’m tempted to take it. Her patterns are stunning. I’ve never made a NYB quilt…but I think I’m gettin’ the itch! I checked out the patterns by Chris Jurd…love them! I think we should set October as the month to start a NYB quilt, Candy. One block a month….. I guess Karen Stone has a book out also – I haven’t seen it here yet.